You've waited long enough! 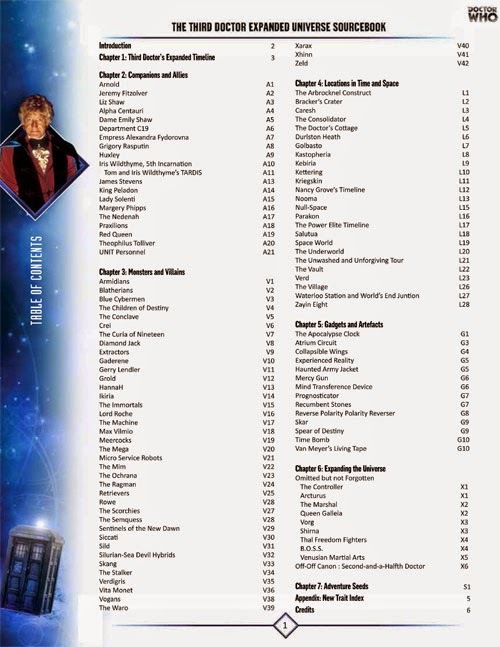 Here's the third volume to act as companion to the 50th Anniversary Doctor Who sourcebooks for Cubicle 7's Doctor Who RPG. The gaming company covers the Doctor Who canon; so myself and a very small squad of contributors (there's room, join us!) mean to create similar books for each Doctor covering his extracanonical adventures from novels, audios, comics and more. 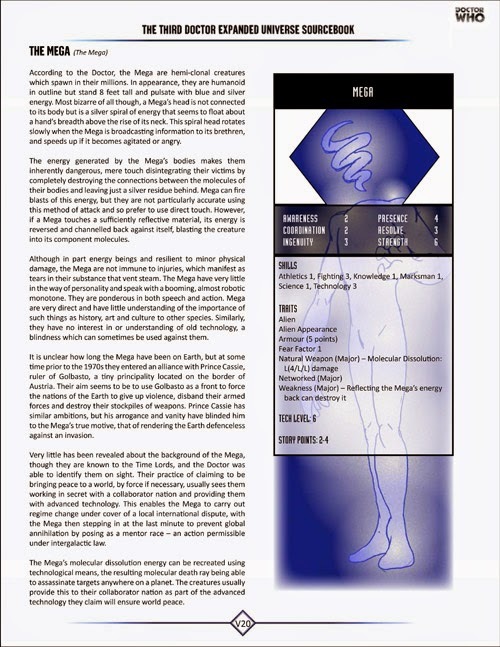 You can download (or just read) it HERE in high (printable) or low (computer screen) resolution, and if that somehow gets knocked out from too much bandwidth being used, the working copy is also HERE. We got hit with delays on this one, but the 4th Doctor book is already quite advanced, so we're hoping to launch the next one for the Holiday season (yes, I know, promises, promises). 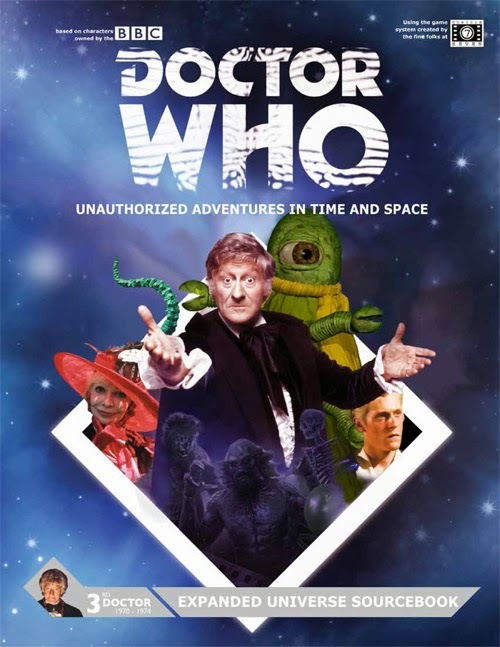 This 122-page pdf document features at least one entry from each Third Doctor novel and audio, plus material from short stories, comics, and even the televised show itself (with long-running Doctors like Pertwee, C7 couldn't put everything in). You'll find people, monsters, places, dates, gear, even Venusian Aikido rules. There's a timeline that puts it all together, and adventure seeds aplenty for the prospective GameMaster. 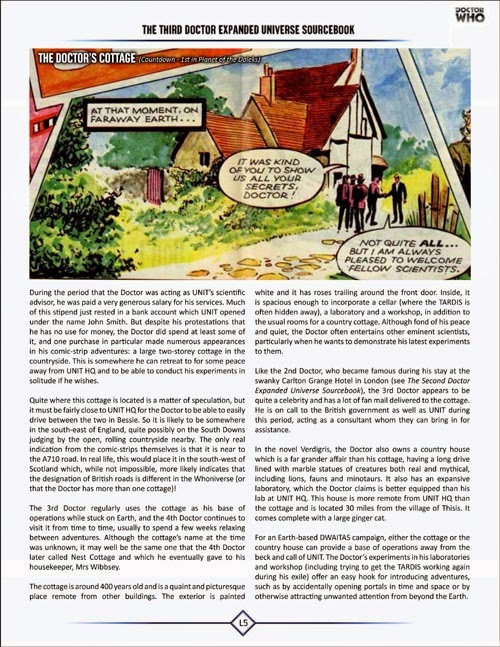 While I did the layouts, coordination, and editing, most contributions came, once again, from Peter "misterharry" Gilham, to whom I am most grateful. A pedantic proofreader as well, he saved me innumerable times from my propensity for typos. Thanks must also go Nathan "Dastari" Laws who's been with the project since volume 1, and newer contributors Olivier Legrand, Jay Epps and Brenden Wright (the latter's spot illustrations filled the book out nicely, and I hope to get him to send me more work from his corner of Middle-Earth for the next one). My personal thanks to everyone who's kept up with the projects through the last long months when it didn't always seem like we'd get it done. I hate winter months for that. Bleak, stressful and unproductive. You can help make the next one hit its deadline, of course. Check out the list of things we're looking for in The Extracanonical Tom Baker; maybe you can help us out with words or pictures. If you don't know the game very well, we've got guys who can stat it all up for you. Get in touch, we'd love to have more collaborators. If you like Fourth Doctor novels and audios (and I hear Tom has a bit of a following), that could be you! Follows: A few pages for readers not interested enough to click the links. Already have more than 60 entries from MisterHarry banked and the slow beat of summer to work on my own entries. I think it's manageable, but I'm an eternal optimist. Congratulations to all concerned. What an incredible feat! Sweet! Probably my least-favorite era of Doctor Who... but darn it if this doesn't get me fired up for it again all the same! Good ol' Mikcey Mous- I mean, Alpha Centauri. :-) Not to mention the best of the Masters, and my favorite Doctor-Companion pairing of all time. But I know what you mean. My first Doctor was the 4th, but the 3rd was MY FAMILY'S Doctor, the one we watched together in reruns and the one the entire family liked. (And then I became a connoisseur and I'm all 7th forever!). But watching the era again, the stories often seem padded and cheap, and the Doctor too "human". Nevertheless, The Green Death remains one of my favorite Doctor Who stories ever. I have love for every era, truth be told. 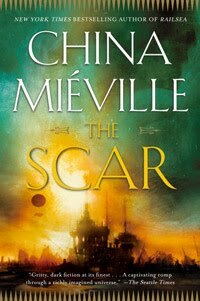 "But watching the era again, the stories often seem padded and cheap, and the Doctor too "human"." That hits the nail on the head perfectly. I think that's why I found the era a snooze. And yet... The Curse of Peladon. Anything with Delgado in it. The Three Doctors. The Carnival of Monsters. Bessie. And the Jo/3rd relationship is my Sarah-Jane/4 relationship (a.k.a. the one I see as the ideal), at least in that last year. There really is always something to love, isn't there? First: The Shakespearean historicals, the subtle Barbara/Ian relationship, Vicki's enthusiasm, the primitiveness as a television history lesson. Second: Whenever the Doctor grows dark and quiet, Zoe screaming her head off on a spinning TARDIS console, those creepy Cybermen, crazy foam machines.